Every Fischer we tested for 2018 featured a lightweight feel with superior edge hold and stability in all conditions. The Ranger 108 Ti is no different. 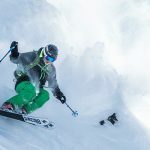 This ski provided smooth, stable, excellent edge hold in off-piste conditions, with the brand’s Freeski Rocker and Carbon Nose providing an ease of initiation that provides immediate grip. Like other Fischers we tested, the ski seems to perform better the harder it is pushed. As one tester put it, “It feels like a race ski, but one that’s made for off-piste.” Advanced and expert skiers will get the most reward out of the ski’s abilities, although its overall lightness (thanks in part to the Air Tec Ti core, which features milled wood and Titanal layers to reduce weight) will also appeal to skiers looking to advance, and to skiers looking to use it with a touring setup. 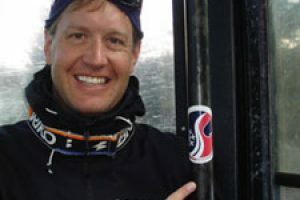 The Fischer Ranger 108 Ti was graded as “Excellent” by every tester who skied it except for one, who gave it a “Good” (Favorite and Awful are the two other initial rankings we include at the top of each scorecard), who thought the ski felt a little too rigid to really schmear in the sluff. 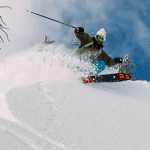 Sluff-ability was the only classification in which the Ranger 108 Ti did not get top of the line scores, earning a 7, as the ski does prefer making a pure carve over a lively porpoise, even in the softer stuff. 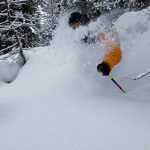 As one tester put it, the Ranger 108 Ti really does feel like a race ski with off-piste skills, with bomber edge hold and superior Stability, as well as some of the best Hard Snow Pleasure scores in the entire Powder Category of our test. The Ranger 108 Ti’s Air Tec Core, in which the wood and Titanal layers are milled to reduce weight, results in a lightweight ski at no sacrifice to power and performance. The mix of rocker with a full Carbon Nose makes the ski super easy to roll into a turn, where it immediately offers perfect grip. The faster we skied the Ranger 108 Ti, the better it performed, leading us to initially recommend it only for advanced to expert skiers whose technical style will reap more from the 108 Ti’s many benefits. 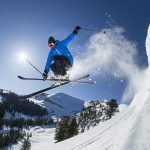 However, its light weight and ease of initiation, could also work for advanced-intermediate skiers who want to upgrade their arc with easy-to-access performance. This is a true all-mountain powder performer with superior hard snow chops which is also light enough to use with a touring setup. One tester ranked the Ranger 108 Ti 10 in the Overall classification (out of a possible 10), while one ranked it 6 (due to its lack of Sluff-ability), and every one else gave it a solid 8. It is one of the better skis we tested in the Powder Category. Although it did not own any single classification, its Stability and Hard Snow Pleasure ratings were near the top of the pack. 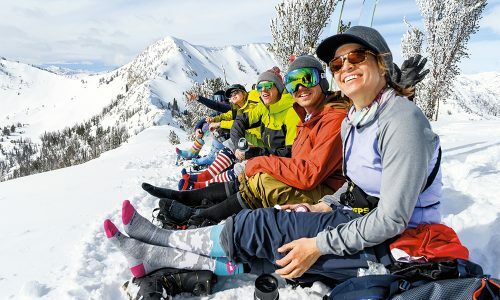 This is a great pick for skiers who enjoy big terrain, and making big, fast arcs. As noted in the Full Review (see above), the Ranger 108 Ti has enough rocker and ease of initiation to get good scores in the Sluff-ability classification. It dampness, power and excellent edge hold, however, make it much more fun to edge than porpoise. The Ranger is a very stable ski, particularly when you are skiing very fast. There’s just enough Titanal mixed in with the woodcore, along with a full sandwich sidewall construction, to make it a great ski to carve, even off-piste, with great grip. It does feel a little like a race ski in how well it makes medium to long-radius arcs, which is exactly what you’ll want to do on the Ranger 108 Ti any time the terrain opens up. 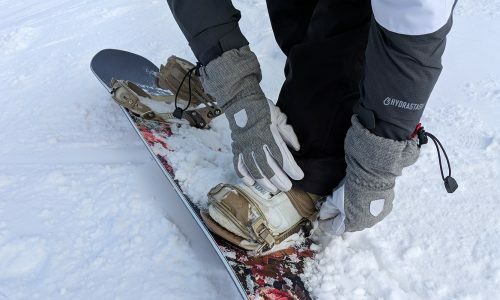 While correlated but not identical to a ski’s Sluff-ability classification, the Ranger 108 Ti did get high marks for Float, but earned slightly lower marks for Sluff-ability as the ski felt too rigid to really schmear when the snow got deep. 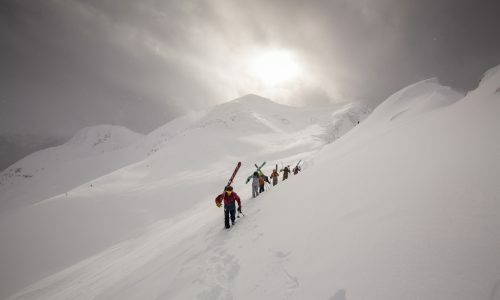 It enters and exits a turn as well or better than almost every other ski in the Powder Category. After it does, however, it wants to find and hold a hard charging authoritative arc. 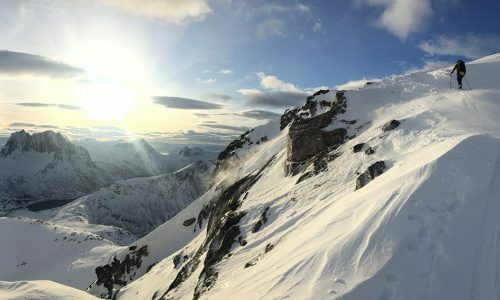 The Fischer is up there with the Dynastar Legend X96 and Elan Ripstick 106 in terms of Hard Snow Pleasure scores. 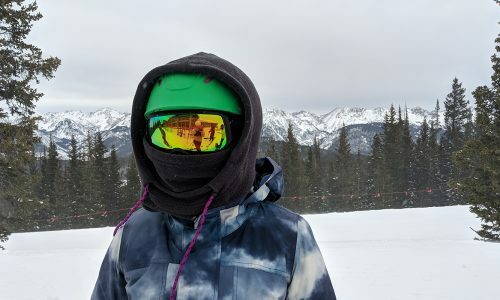 It really makes the same powerful turn wherever you take it – especially medium to long arcing turns – whether that’s charging down a windblown bowl or carving the groomers on the way back to the lift. 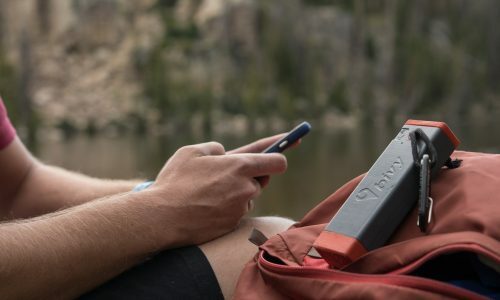 If your local hill has big terrain, or if you’re looking for all-mountain performance with a tourable, lightweight feel, the Ranger 108 Ti is an excellent pick.